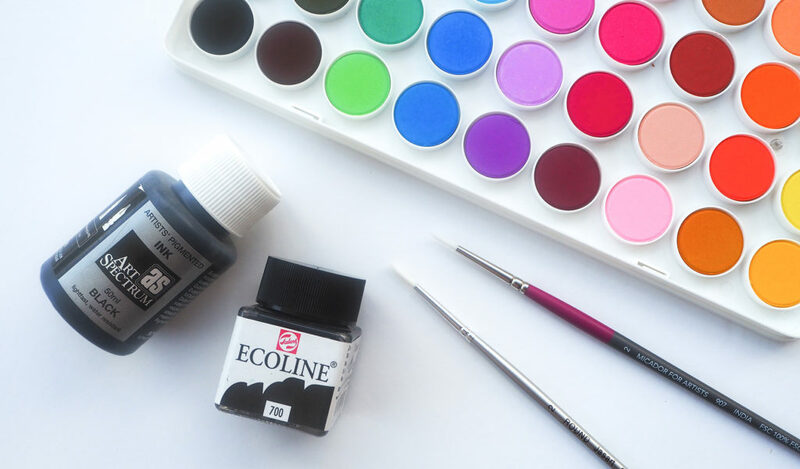 Getting started with calligraphy doesn’t have to be expensive. I know we want #allthepens and #alltheinks, but really, it’s the amount of time you spend practicing, and the quality of your practice that really matters. 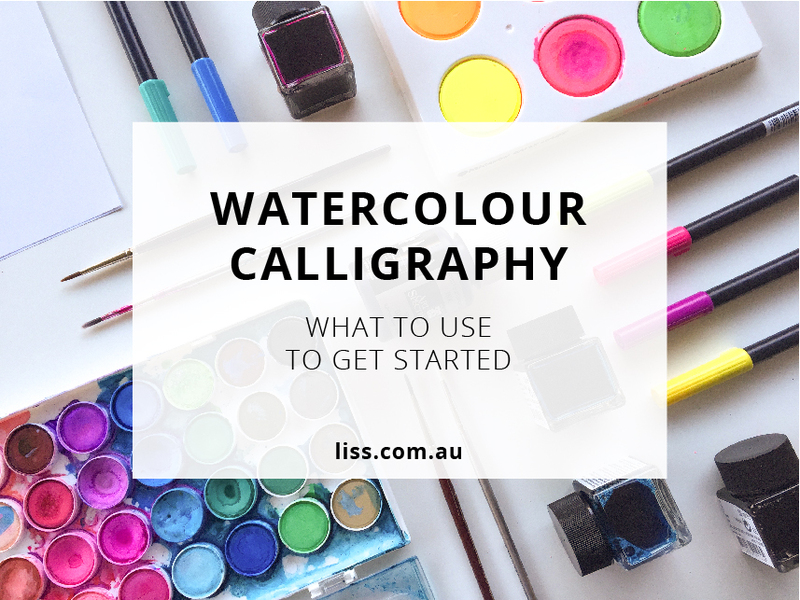 My #1 recommendation if you’re thinking about starting watercolour calligraphy is start with what you’ve got. Often we have things lying around from other craft projects, or from last time we told ourselves we would start calligraphy but then got sidetracked, or even just things we’ve bought our kids (if you have kids of course!). Whatever you have available, start with that. If you are going shopping, you don’t need to go out and buy a $200 watercolour set (and then discover you’re too afraid to even use it!). My preference for brushes is a size 2 round white taklon brush. The two brushes above cost less than $5 each. When you’re just beginning, I recommend using plain printer paper – again because practice matters, and you’re less likely to practice enough if you’re using paper that costs $1 per page. Once you start producing work that you want to keep, look for some watercolour paper. Then, once you’ve got all your supplies together, start practicing!